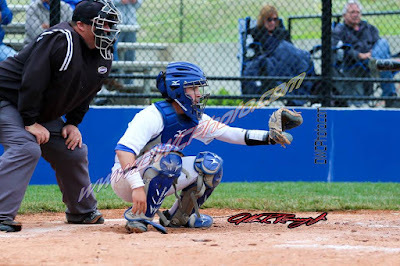 The first five innings saw a lot of familiar pieces to the recent 9th Region championship runs for the Highlands Bluebirds baseball team (23-12 overall) on Monday. Highlands used strong pitching from Ethan Doty, some timely hits and took advantage of several Beechwood errors to build a 4-0 advantage in the region quarterfinals at UC Health Stadium. 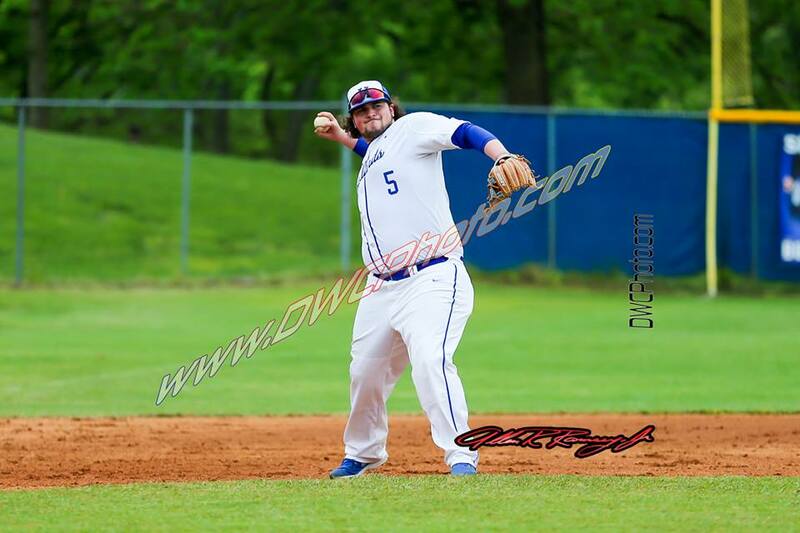 But the Tigers rallied to tie the game in the top of the sixth before Kyle Rust and Trey Bowden had clutch run batted in singles to lift the Bluebirds to a 6-4 victory. PHOTO: Allen Ramsey, DWCPhoto.com. Highlands junior Josie Daley makes a play in the 36th District championship game Friday. The start made the Blue and White faithful nervous. Runs have not always come as easy as previous seasons for the Highlands Bluebirds baseball team so it is understandable why a 4-0 deficit in the first inning would make fans nervous. 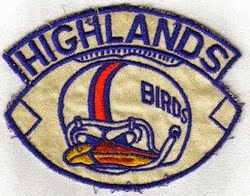 But Highlands (22-12 overall) did not flinch. Instead, the Bluebirds dominated the rest of the way en route to an 11-4 victory over the Newport Central Catholic Thoroughbreds (16-14) in the 36th District championship Friday at Highland Park. PHOTO: Allen Ramsey, DWCPhoto.com. Highlands junior Baylie Ormes grabs a ground ball in a recent game. The Highlands and Newport Central Catholic baseball and softball games will play for the 36th District championships at 5 p.m. Friday instead of Thursday because of excessive rain. PHOTO: Allen Ramsey, DWCPhoto.com. 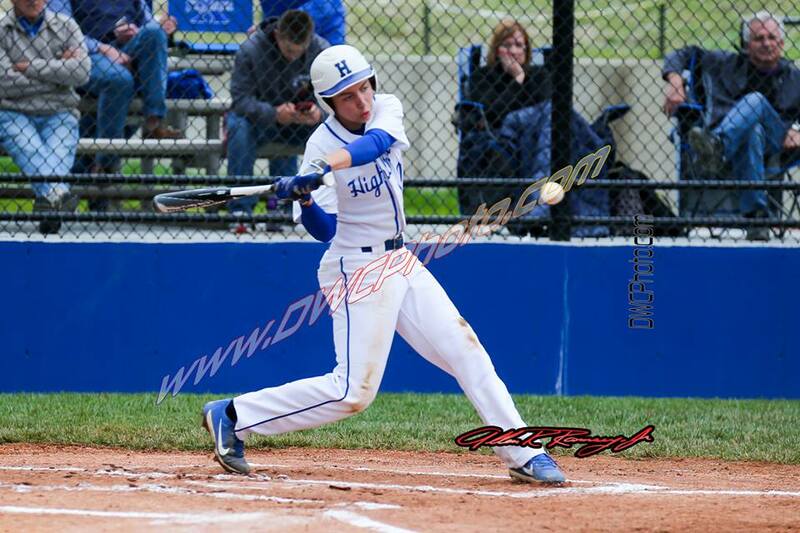 Highlands senior Spencer Dee takes a swing in a recent game. From the beginning, it quickly became evident the Blue and White would dominate and prevent the unthinkable. PHOTO: Allen Ramsey, DWCPhoto.com. Highlands sophomore Rachel Gabbard makes a play in a recent game. The Highlands Ladybirds (12-16-1 overall) took care of business with an 18-1 three-inning victory over the host Newport Ladycats on Tuesday. PHOTO: Allen Ramsey, DWCPhoto.com. The Highlands softball team honored its two seniors in Jenna Martin (with purple balloon) and Kara Fornash (black balloon) on Friday. Despite a rainy end to the week, the Highlands Bluebirds baseball team (20-12 overall) managed to get one last game in for the regular season. PHOTO: Allen Ramsey, DWCPhoto.com. Highlands senior Tyler Schwalbach throws the ball during practice before a recent game. The Highlands Bluebirds baseball team (19-12 overall) pulled off an extra-inning win Thursday. 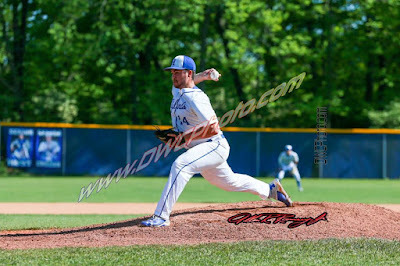 The third time did not turn out to be the charm for the Highlands Bluebirds baseball team (18-12) on Wednesday as the Covington Catholic Colonels run-ruled the Bluebirds, 14-2 in six innings. Highlands takes on Dayton to make up a 36th District game Wednesday. Game time is 5 p.m.
PHOTO: Allen Ramsey, DWCPhoto.com. Highlands senior Kyle Rust waits on a pitch in a recent game. Rust went 2-for-4 with a double, four runs batted in and two runs scored to help Highlands to a 12-1 win at Ryle on Monday. The Highlands Bluebirds baseball team (18-11 overall) pulled away from the host Ryle Raiders for a 12-1 9th Region win Monday. The win snapped a three-game losing streak. The Bluebirds also moved to 11-4 and avenged a 4-3 to the Raiders in Covington on April 13. The Highlands Bluebirds baseball team (17-11 overall) dropped two games in the Coach Connor Classic on Saturday. 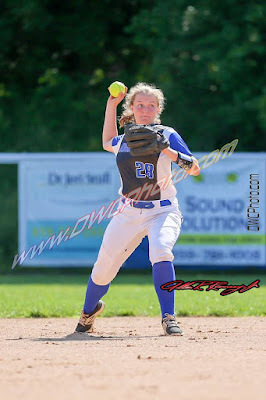 They lost to the St. Henry Crusaders, 7-3 before dropping a 7-0 decision to the hosts. PHOTO: Allen Ramsey, DWCPhoto.com. The Highlands baseball team celebrated Senior Day on Friday. 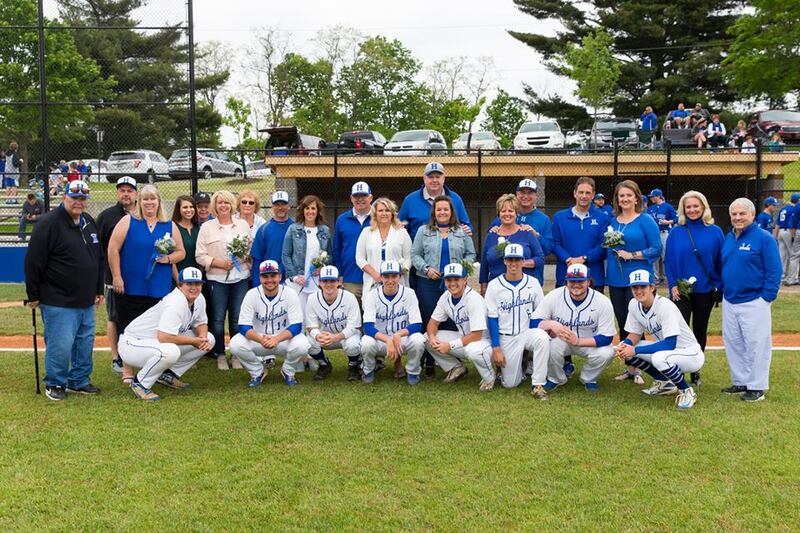 The eight seniors are pictured here with their parents. The Highlands Ladybirds softball team (9-13-1 overall) won its third in a row with an 11-6 win at Bishop Brossart on Friday. 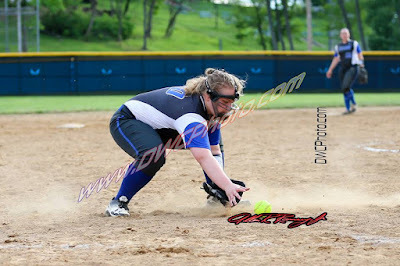 The Highlands Ladybirds softball team (8-13-1 overall) handled Bellevue, 18-3 on Thursday in a make-up 36th District softball game. 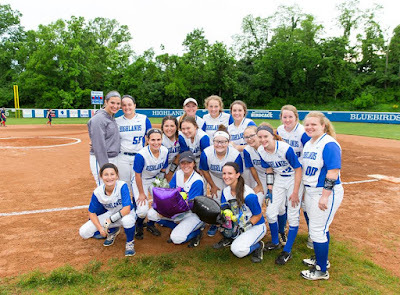 The Highlands Ladybirds softball team (7-13-1 overall) handled Covington Holmes, 11-1 in six innings for a 9th Region win at Highland Park on Thursday. The Highlands baseball (16-8 overall) and softball teams (6-13-1) saw their games rained out Tuesday. The softball team was scheduled to play at Dayton and Cincinnati La Salle was scheduled to come to Highland Park for baseball. PHOTO: Allen Ramsey, DWCPhoto.com. Highlands junior Hunter Dreves fires away in a recent game. 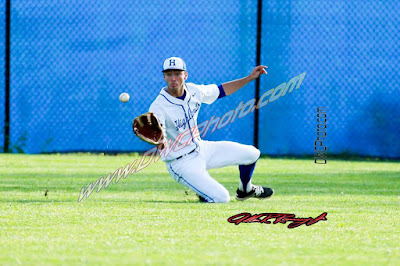 The third time turned out to be a huge charm for the Highlands Bluebirds baseball team (16-8 overall) Monday. 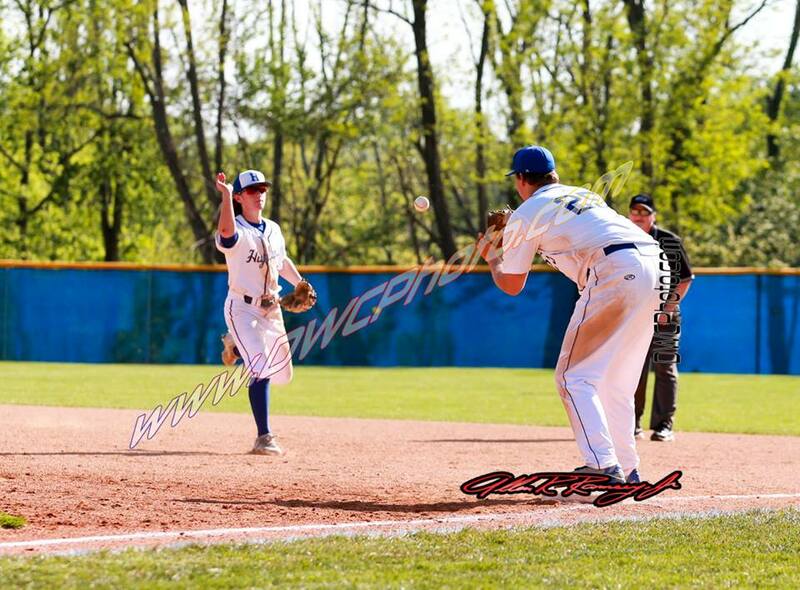 In the third meeting against a Greater Catholic League South opponent this year, Highlands edged the Cincinnati Moeller Crusaders (17-6), 3-2 Monday at Highland Park. The Bluebirds had lost to GCL South opponents Cincinnati St. Xavier and Elder earlier in the year. The Highlands baseball and softball teams had several cancellations between Thursday and Friday as a result of the cold weather. PHOTO: Allen Ramsey, DWCPhoto.com. 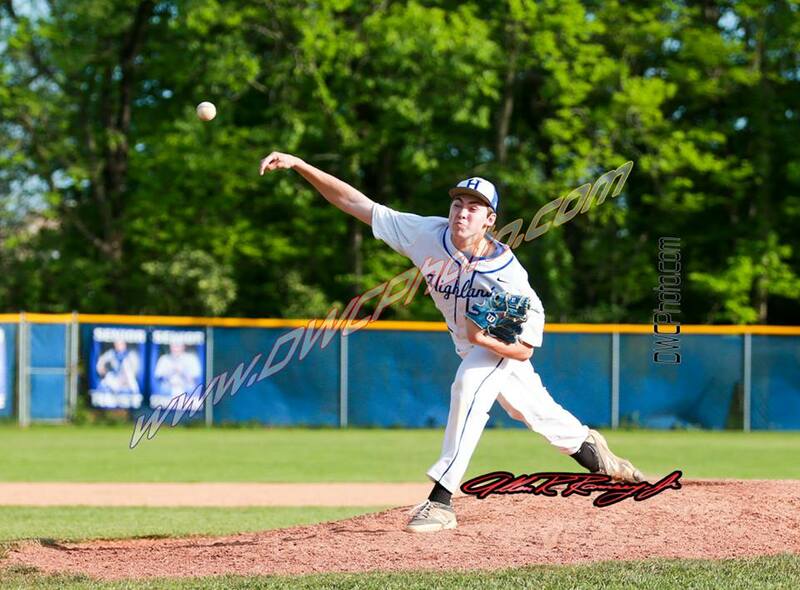 Highlands senior Ethan Doty struck out 14 in the 9th Region win at Beechwood on Wednesday. The Bluebirds have seven shut-outs on the season. This baseball game showed how important accuracy comes into play. The two Highlands Bluebirds pitchers in Ethan Doty and Hunter Dreves combined for 14 strikeouts, five walks and just one hit. On the other side, the three Beechwood Tigers pitchers walked 14 Bluebirds, struck out six and allowed four hits. PHOTO: Allen Ramsey, DWCPhoto.com. 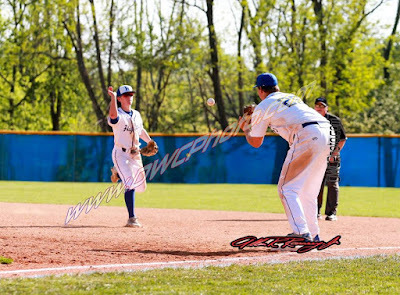 Highlands freshman Ethan Kavanagh (left) tosses the ball to senior first baseman Kyle Finfrock (right) in a recent game. 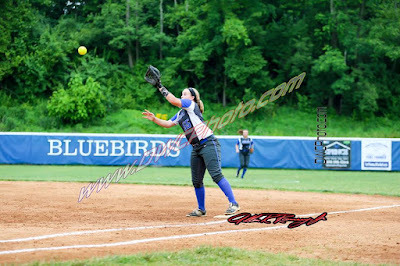 The Bluebirds recorded a huge win over Campbell County on Tuesday. It may take several of these games if the Highlands Bluebirds baseball team (13-8 overall) is to advance deep into the post-season. Highlands junior pitcher Drew Rom threw a complete-game, one-hit shut-out of the Campbell County Camels (19-3) on Tuesday at Highland Park in a 1-0 Bluebird victory in a battle of the previous two state runner-up squads. Rom struck out 14 and walked just one. PHOTO: Allen Ramsey, DWCPhoto.com. 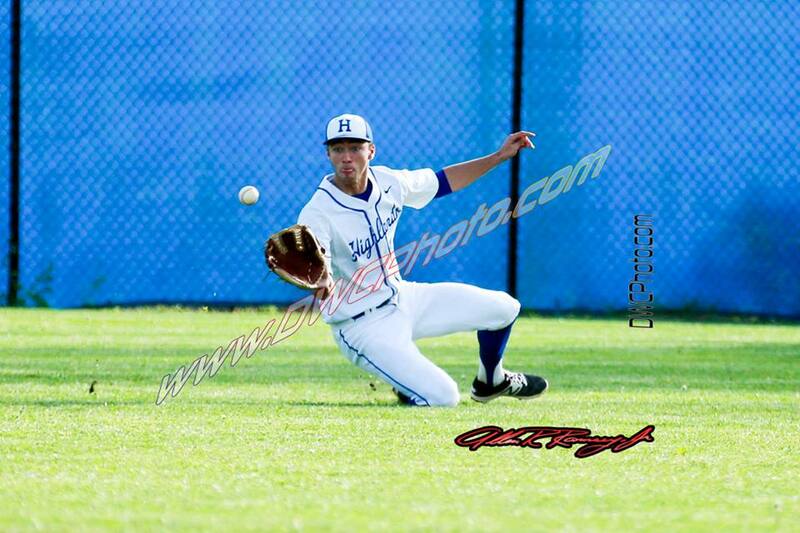 Highlands junior Drew Rom makes the catch in a recent game. The Highlands Bluebirds baseball team (12-8 overall) took care of business quickly run-ruling the Bishop Brossart Mustangs, 13-3 in five innings in a non-region game.